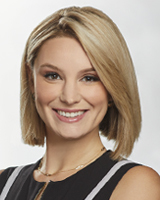 Maggie Kent is a proud Philadelphia native who joined the 6abc Action News team in April 2018 covering breaking, feature and general assignment stories. Maggie started her career carrying her own camera through the streets of the Bronx as a multimedia journalist and reporter for News 12 The Bronx and Brooklyn. She eventually became the evening anchor, and it was there that she was nominated for an Emmy Award for her series "Wheels in Motion." The story follows the lives of two paralyzed New Yorkers who have founded a non-profit helping others regain their mobility. In 2016, Maggie joined the team at WCBS in New York City. There, she covered a wide range of stories including the 2016 Presidential Debate at Hofstra University, terrorist attacks, storm coverage, and countless local and international issues. Maggie is a graduate of Montclair State University and holds a bachelor's degree in Broadcasting. She grew up in the Italian Market, receiving her education in the Philadelphia Public School System at Central High School (267!). Maggie is thrilled to return to the city she loves. She is a huge Philly Sports fan and an avid thrift-shopper. She'Kierrah Adams, 18, is dead and her 11-month-old son is recovering from gunshot wounds. Sharon Hill police say the person who pulled the trigger was 23-year-old Raquill Holland, who then fatally shot himself. People are outraged after a video surfaced showing a paratransit driver looking at his phone while behind the wheel. Philadelphia is rolling out a new street sweeping program which won't require you to move your parked car.